July 19, 2016 8:58 am / 6 Comments on Do you know what you are allowed to do when you take childminded children to the woods? You have to have a Level 3 Forest School qualification to take the children to the woods. FALSE: Forest School training courses are popping up all over the country and lots of childminders are signing up for them. They are essential if you want to run a Forest Kindergarten (outdoor nursery) and a great idea if you want to teach groups of nursery children how to do whittling and build a forest fire. However, it is a myth that you must have Forest School training or any kind of special qualification in order to take childminded children on normal outings to the woods. You need to do a risk assessment before every trip to the woods. TRUE: You should carry out a risk assessment to identify any potential hazards each time you go on an outing, even if it is for a place you have been before. Changes in weather and the personalities of the different children you are bringing all introduce new ‘risks’ and new ‘variables’ into a trip and you should consider these when you plan your trip. You don’t necessarily have to write your risk assessment down, but you really should think through your risks before each and every trip. You must get parents to sign a permission form for every outing you take. FALSE: When children start at your setting it’s a good idea to get them to sign to say that they are happy for you to take the children on ‘regular outings’ and also to take the children out in the car. If they sign this once, then you don’t need to ask for permission every time you go out. In fact, permission for outings is no longer strictly necessary at all. In Sept 2014 the requirement for ‘written parental permission for outings’ was removed from the EYFS Statutory Framework. Many childminders still get permission from parents anyway, especially to go on ‘special outings’ or ‘day trips’ because it is nice to feel that the parents are on board and it’s also just a great way to advertise your service. It is bad for children’s health to take them out when it’s raining and very cold. FALSE: Rain is not bad for children’s health. Nor is cold. Have the attitude that there is no inappropriate weather for outings to the woods, only inappropriate clothing. 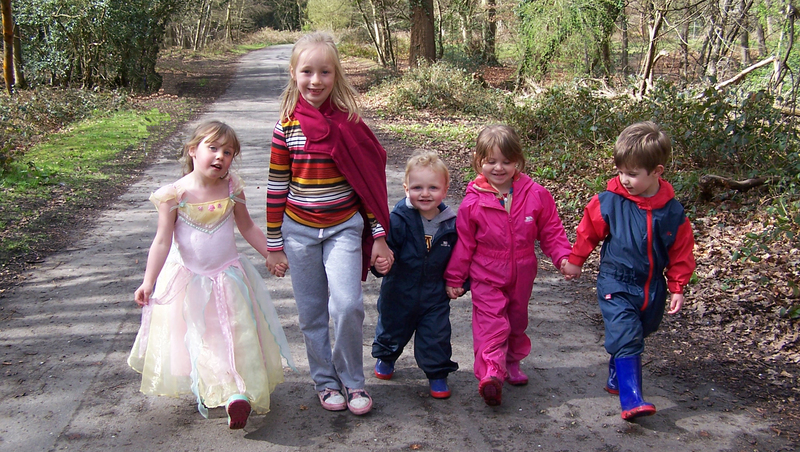 Taking children out in all kinds of weather, all year round, is great for their health and wellbeing. Put the children in water proofs, wellie boots, hats, gloves and bring spare clothing. Remember to think about your own clothes as well as the children, because if you get cold or wet you won’t enjoy yourself and you won’t want to do it again! Your childminding insurance won’t insure you if you’re out in the woods. FALSE: I don’t know about ALL insurers but if you are insured through Pacey or Morton Michel, then your public liability insurance covers you for any normal outings you take including playgrounds, woodlands and parks as long as those outings are within the UK. Don’t forget that you will also need to make sure your car has business car insurance on it if you intend to drive the children on your outings. You should not allow the children to climb trees. TRUE: While your public liability insurance should cover you for any NORMAL outing and activity you would do with the children in the woods including hiking, bug-hunting, treasure-hunting and den-building, certain activities including tree climbing, whittling, using tools such as saws, fire-making and cooking on fires may be restricted by your insurance provider. If you plan to do any of those types of activities with the children you care for, you are advised to first contact your insurance provider and to check their small print. You must get parental permission for every activity you might do with the children while you are in the woods. FALSE: Many childminders fear that if they took the children to the woods they would need to have parental permission forms for every little thing: ‘I give my child permission to carry twigs, to pick up leaves, to splash in puddles and risk slipping over on mud etc.’ This attitude can severely limit what you feel is ok to do with the children you look after, and simply isn’t necessary. Being outdoors and in the woods comes with risks. While it is important to try to minimise risks, you can’t wrap children in cotton wool and part of the learning of being outdoors is learning to manage some of its risks and dangers. If the parents say it’s ok, then the childminded children can play in the woods at the bottom of your street on their own. FALSE: It would be lovely to allow children to ‘play out’ as you may have done as a child, and trusting your own children with the freedom to explore the small woods at the bottom of your street is part of growing up and your choice. But when you are childminding, children must be within your sight or hearing at all times, so you must not allow childminded children to ‘play out’ even if the parents have given you permission. You must carry a first aid kit with you when you are on outings. TRUE: Yes, you must carry a first aid kit with you at all times. Plus epi pens or other first aid essentials for children who need them. But you don’t generally need to lug the same massive first aid box around with you that you have in your house. Just carry some essentials. You must not feed children in the woods because they will not have washed their hands properly. FALSE: This is simply not true. Obviously you should not feed the children if they have been handling anything potentially dangerous or if their hands are especially filthy, but eating snacks while sitting on a log is really one of the nicest aspects of being outdoors. Whenever possible wash everyone’s hands before you eat in the normal way, but if you carry some wet wipes and a pot of antibacterial hand wash with you, try not to worry too much. ‘Normal germs’ really are less dangerous than many people imagine. When you join the Forest Childcare Association for just £15 I will send you a pack of information including risk assessments, links to the EYFS, all the forms and paperwork you need to make outings happen, plus 50 crafts and activities you can do with childminded children. You will also receive marketing tools to help you to use the idea of weekly outdoor outings to promote your childminding business. 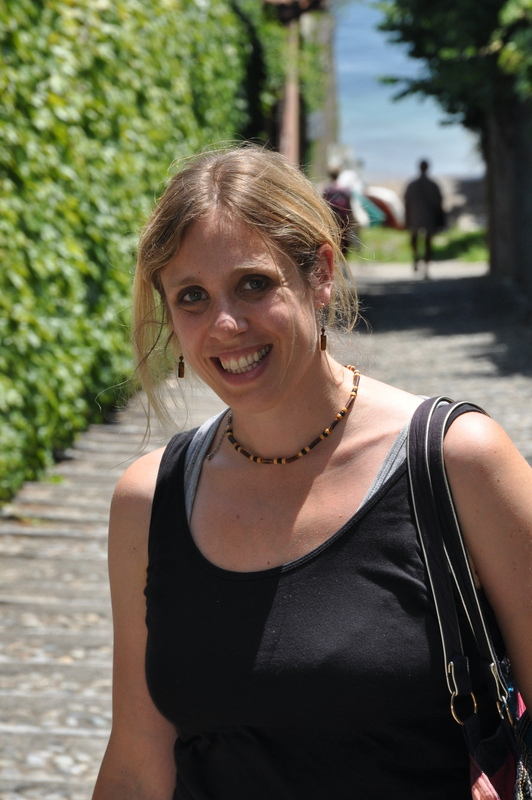 March 1, 2016 9:55 am / 4 Comments on Do you have a poison childminding garden? 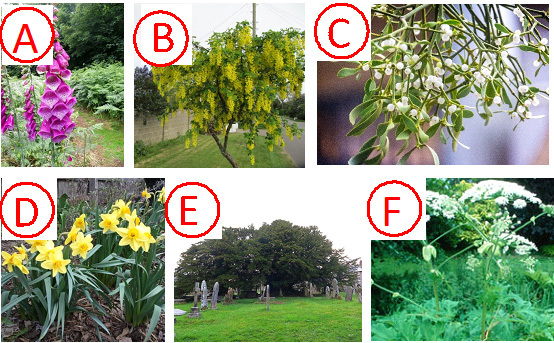 Do you know which of the six plants pictured here are poisonous? Britain doesn’t have a lot of really nasty poisonous plants, but as childminders there are a few you should be able to recognise. Some plants can make you very ill if you eat them or give you a nasty skin rash if you touch them. Do you know which ones they are? The quiz is a trick. In fact, ALL of the plants pictured here can harm you, causing symptoms that range from nausea and vomiting to nasty skin blisters that last for months. Some of these plants can actually kill you. But don’t overreact and go cutting down trees and pulling up flowers! Read on so you understand what the risk and real dangers are to yourself and to the children you care for. The leaves of foxglove plants are poisonous. They contain a drug that is used in medicine to regulate the heart, but eating more than about two of the leaves can cause a heart attack. The leaves apparently taste very bitter so you are unlikely to eat them by accident! Many people who try to kill themselves by overdosing on foxglove leaves often find that they throw up before the poison starts to work. 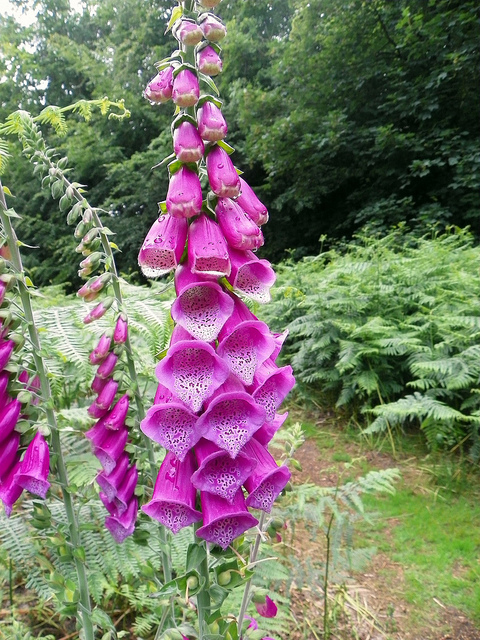 One fatal accident involved a child who drank the water from a vase containing foxglove plants. So don’t pick foxgloves and put them in a vase in your playroom! The seed pods of laburnum trees look a lot like bean pods. It is easy to imagine why children think the early seed pods are beans especially if you ever let them open and eat sugar snap pea pods. As they ripen, they change colour from green to black and they also harden so they are less likely to be eaten later in the season. You certainly don’t need to cut down your beautiful laburnum tree if you are a childminder. But you should prune off the lower branches which will keep the seeds out of reach of young children or put a fence around the bottom. Most importantly is to tell the children not to eat them and explain why. Apparently it takes quite a large quantity of the seed pods to cause any real harm to a child, but I wouldn’t chance it. 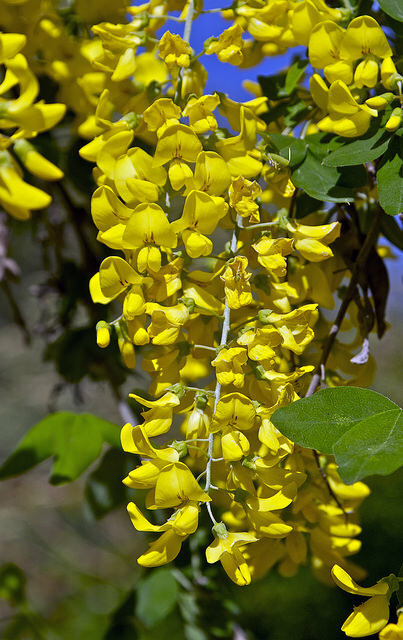 If a child eats any laburnum seeds seek medical advice. People bring mistletoe into their houses at Christmas and put little sprigs over doorways to kiss under. But mistletoe is actually poisonous and poisoning can occur when you eat any part of the plant, especially the leaves. You can also be poisoned from drinking a tea created from the leaves or berries. So watch out! 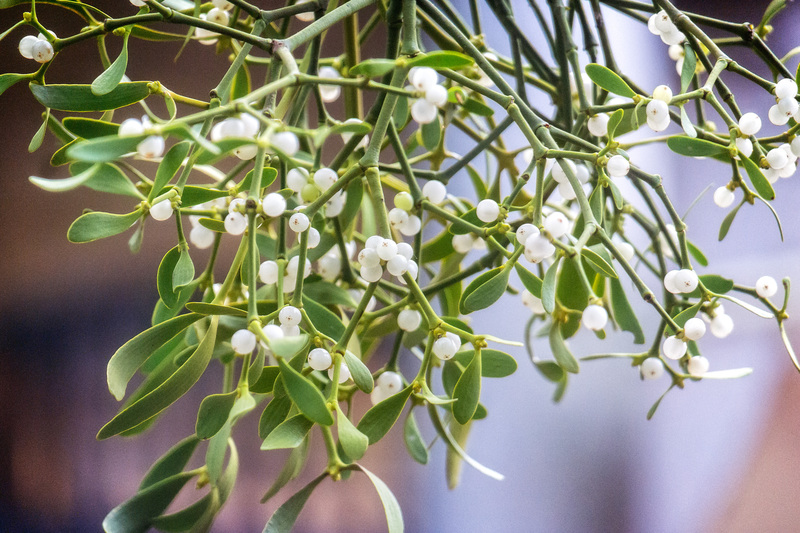 If someone ‘lovingly’ tries to feed you mistletoe berries while kissing you underneath a sprig, they are probably actually trying to murder you! 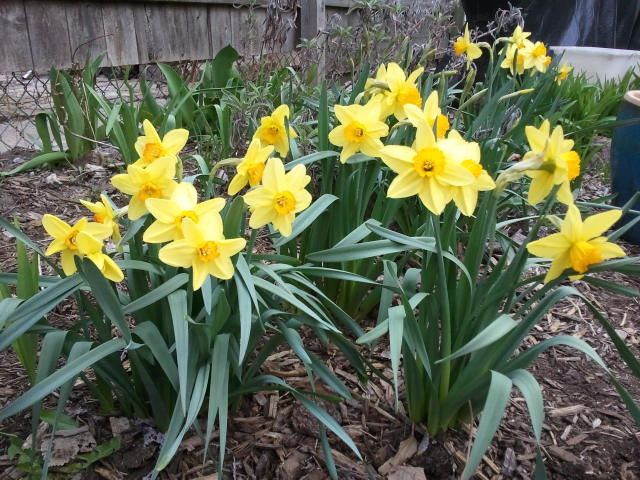 The bulbs of daffodils are poisonous if you eat them. Apparently what happens is that people find them in the shed and think they are onion bulbs and then cook stews with them by accident thinking they are cooking onions. The resulting meal will taste very strange and make you sick. It could even kill you. When you see this box of bulbs you can see why it’s not as crazy as it initially sounds! 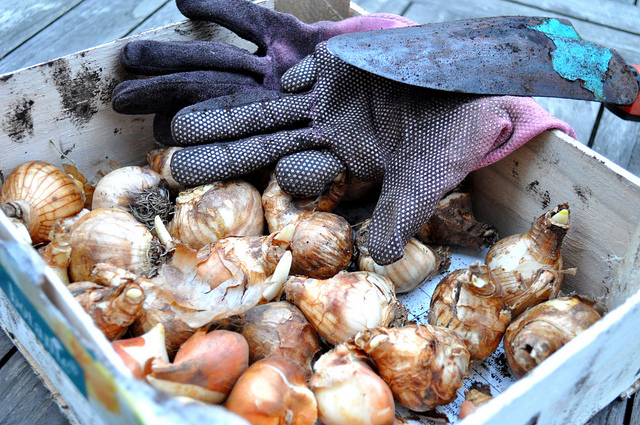 Does this mean that you shouldn’t plant daffodil bulbs on your windowsill with small children anymore? Of course not! But if there is any chance that a small child could have eaten one of the bulbs (and we all know small children who just might) then I would definitely seek medical advice, just in case. 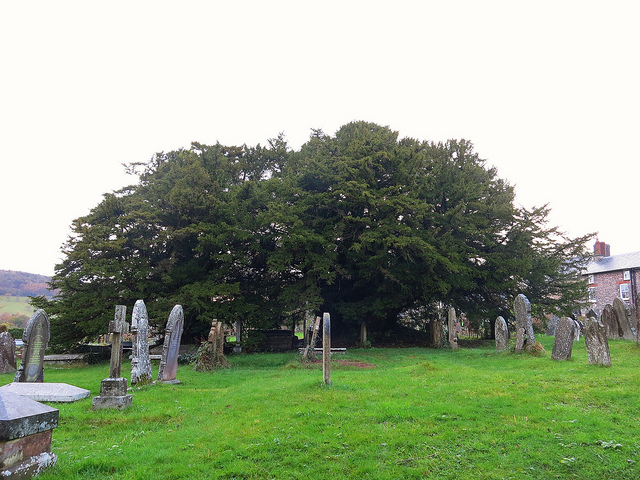 Yew trees are evergreen trees that are often grown in cemeteries and can be really, really old. They often have signs on them asking you not to climb them and this is actually to protect you as well as the tree as the leaves of yew trees can cause nasty skin blisters if you rub up against them. These blisters can be quite severe and last for many months. If you eat the leaves they are also poisonous and can cause vomiting, diarrhea, convulsions and can even kill you. Our infant school has a lovely yew tree right in the front ground. The children used to sit under it to eat. Then one day they fenced the whole thing off, which we all thought was quite mean, but now I understand why. Giant hogweed is a wild plant that grows along footpaths and riverbanks that makes stinging nettles seem positively friendly! Giant hogsweed can grow up to five metres tall. If the sap of the plant comes into contact with your skin, it can cause severe, painful burns. If you touch a giant hogweed wash the affected area with soap and water. The blisters often heal very slowly and can develop into phytophotodermatitis, a type of skin rash which flares up in sunlight. I do hope this article hasn’t made gardening with childminded children or taking them on a walk in the countryside sound as dangerous as taking them to feed the lions. These are just dangers that, like all the poisons found inside your house, you should be aware of when you look after young children. Always teach children not to eat anything from the garden or while you are out walking unless you have told them it’s ok. Be very careful about giving mixed messages to young children. For example, everyone tells children not to eat red berries because we all know that red means poison. However, blackberry picking is great fun, isn’t it? But blackberries can appear quite red before they are fully ripe. And they’re not poisonous. How are children supposed to know? This certainly doesn’t mean you should never go blackberry picking. Just that it is important to teach children to be sensible and to watch them carefully. Read this NHS article for more information on plant dangers in the garden and countryside. This full, exhaustive list of plants that could cause poisoning from the Royal Agricultural Society will make you afraid to grow anything other than grass in your garden.